In the past decade, costs of fuel cells have fallen by 60% and costs of electrolyzers — a crucial component in hydrogen-fuel production — by 80%, according to a report released last month by the Department of Energy's Fuel Cell Technology Office (FCTO). The report affirms that, despite significant hurdles, hydrogen and fuel cells will play a growing role in the decade to come. Why it matters: The potential for fuel cells and hydrogen energy includes increasing the efficiency of national power generation, providing low-carbon energy sources for light- and heavy-duty transportation, and reducing the carbon intensity of industrial facilities such as refineries and steel mills. These are functions that are difficult to decarbonize with only electric-based renewables (e.g., wind and solar) and together account for nearly 80% of U.S. greenhouse gas emissions. The numbers: FCTO director Sunita Satyapal reported in her overview that in 2017, 650 megawatts' worth of fuel cells have been shipped worldwide for both stationary and transportation applications, accounting for approximately 70,000 fuel-cell units and $2 million in revenue. In the past decade, states have invested more than $180 million in hydrogen-fuel infrastructure. This year, California announced an additional $235 million investment. Nearly 5,000 fuel-cell cars, privately and publicly owned, have joined the road since 2015. More than 20,000 fuel-cell forklifts are in operation (the U.S. Postal Service moves mail with hydrogen-powered machinery in its Maryland facility). There are more than 30 fuel-cell buses in four states, with 19 million passengers. 35 hydrogen-fuel stations are open today, the majority in California, which is planning to reach 200 by 2025. The report comes after the April announcement of a hydrogen-and-fuel-cell funding program of $39 million aimed at reducing electrolyzer costs, improving the reliability of components and refueling stations, and expanding hydrogen production and distribution infrastructure. 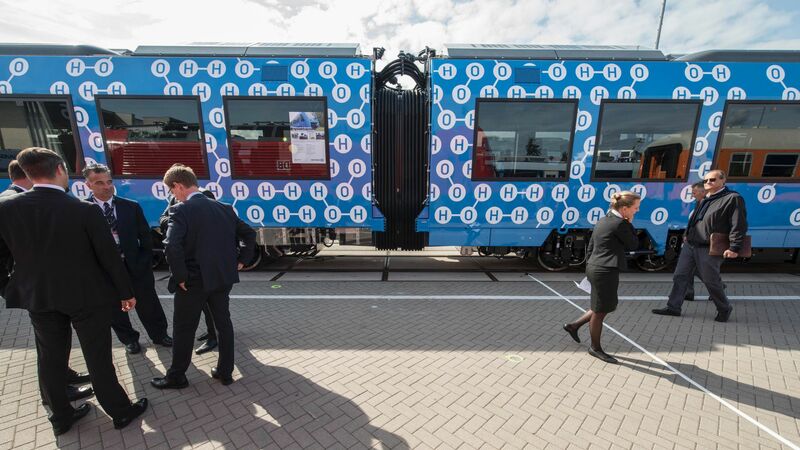 What's next: Director Satyapal has announced that for 2019 the office will focus mainly on the H2@Scale initiative, which aims to expand the infrastructure necessary for a large-scale deployment of hydrogen and fuel cells nationwide. This will likely boost construction of retail hydrogen-refueling stations in the next 5 to 10 years, fostering the expansion of commercial fuel-cell electric vehicle models. Luca Mastropasqua is a visiting post-doctoral associate at the Andlinger Center for Energy and Enviroment at Princeton University and a research fellow at the Group of Energy Conversion Systems at Politecnico di Milano.